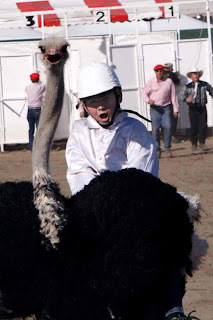 What a way to spend Valentine's Day weekend ... watching Ostriches race around a track. 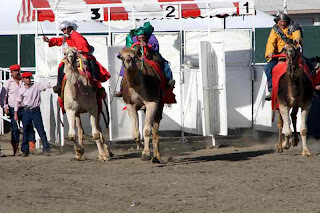 I was supposed to see Camel races, but the people at the Date Festival only had ONE race. Why they call it "races" ... plural?? I don't know. All in all, it was a great day and fun event. I went with several fellow photographers from the San Diego Sierra Club Photo Section.